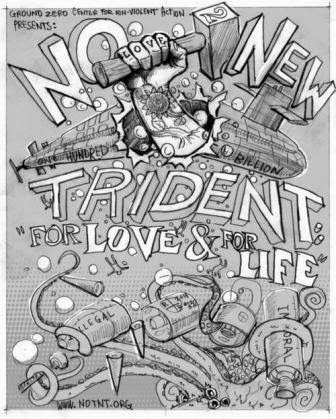 The risk of accidental detonation of Trident nuclear missiles surfaced in recent allegations by a British submariner. The most serious of McNeilly's allegations is the risk of a catastrophic failure of the system's nuclear-armed missiles, the Trident II D-5 submarine-launched ballistic missile, deployed on both UK and US ballistic missile (Trident) submarines. 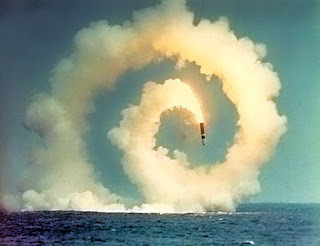 A Royal Navy instruction manual, referenced by McNeilly, states that the “chief potential hazard” from a live D-5 missile is “accidental ignition” of the first, second or third stage rocket motor propellant. The thermonuclear warheads on the D-5 missile “clustered around the third stage rocket motor are at risk from a rocket motor propellant fire.” The intense heat of a rocket propellant fire would likely cause the warheads' conventional high explosives to “cook to (non-nuclear) detonation, releasing radioactive materials and aerosols over a wide area,” according to the manual. Such an event occurring at sea would likely cause the pressure hull to rupture resulting in the catastrophic loss of the submarine and crew. The same event occurring while the submarine is in port would likely release plutonium and other radioactive substances over surrounding areas, putting base personnel and the public at substantial risk. Naval Base Kitsap-Bangor, Silverdale, Washington, where 8 of the US Navy's 14 Trident submarines are home-ported, is just 20 miles West of Seattle, and many other cities are even closer to the base. The other 6 Tridents are based at Kings Bay, Georgia. A radiation release from Bangor would cause an increased cancer risk to people living in surrounding areas, while any attempt at cleanup would be highly problematic and run into the billions of dollars. The risk of a Trident missile third stage rocket fire was raised in a report to Congress on nuclear weapons safety by physicist Sidney Drell in 1990. More recently, it has been highlighted by journalist Eric Schlosser, the author of a book, “Command and Control”, exposing nuclear weapons safety issues. Schlosser spoke specifically to this same concern with the sensitive rocket propellant, saying that it is “relatively easy” to ignite. “A fire or explosion involving the third stage could cause the dispersal of plutonium - and perhaps a nuclear detonation with a small yield." Schlosser added: "These extracts from the Royal Navy safety manual on Trident, if they are authentic, seem to confirm the danger. To my knowledge, there has never been a serious accident with a Trident missile. But improper handling, a fire, or a terrorist act could be catastrophic." In a 2003 missile handling accident at Bangor, a ladder, accidentally left in a submarine's missile tube while the missile was being winched out, came within inches of a warhead before operators discovered the error and stopped the winching process. Milner has voiced concern about the risks inherent to the D-5 missile, particularly in light of the Navy's construction of a Second Explosives Handling Wharf at Bangor. Because of the proximity of the two wharves, if two Trident submarines were being serviced simultaneously and an accidental ignition occurred on one, there is a substantial risk of the second submarine's missiles being put at risk of propellant detonation. Captain Tom Rogers, USN Ret., a former submarine commander, explained that the Navy chose the more volatile rocket propellant in order to fit the large payload (up to eight warheads) in the available space and to ensure the missile's range requirement. Rogers calls this "Trident's dirty little secret." Ground Zero Center for Nonviolent Action believes the information shared by McNeilly is in the interest of public safety, and calls on the British government to immediately release him from prison and appoint an independent board of inquiry into his allegations. Whereas independent scientific experts in the US have previously rendered their opinion regarding the risks inherent in the Trident II D-5 missile, Ground Zero calls urges the US Congress to immediately review the earlier recommendations and conduct an inquiry into why the Navy purchased and deployed an inherently unsafe missile system.